I’m currently sat in my bus on a break as I type this. My head is spinning with thoughts, and if I don’t spill to someone soon I’m gonna go mad. Seeing as I aint gonna see anyone till tonight I’m putting them on here, Just to clear my head more than anything else. It’s my last day on the 200 today. Well from this coming Monday I will no longer working at Arriva Aylesbury as I’m transferring to MK Metro. Argh I just don’t know.. Still not a lot I can do now so just gonna have to make the best of it. 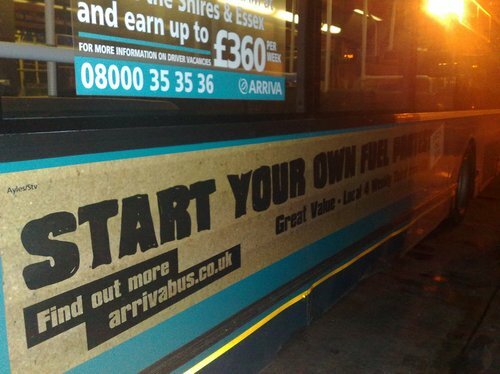 How comes other bus companies seized the opportunity to advertise bus travel during the summer when petrol prices were sky high, Yet we finally tag along six months later when prices start to drop LOL. I really don’t understand why we take so long to do stuff like that! Harry, The other Aylesbury driver who’s over at Milton Keynes, who normally covers my breaks, Is leaning against my bus, While I’m sat in the cab. I’m telling him that the bus I’ve got seems to have major Wheel Wobble..
Me: All the yellow wheel markers are in the right place aint they Harry? And people wonder why I’m not a fan of OAP’s! MK Metro seem to have gained an old The Shires Trident, I think it was new at Southend, But not sure. Anyway it caught fire quite a while back and has only just reappeared after a rebuild. It’s been painted bright orange, and according to one driver it still smells “smokey”. I’ve been directed to a news website that reported on the fire of the trident, You can see the bus was in a pretty bad way which might explain why it took so long to rebuild. You can read the newspaper article here. Just a quick post about some changes. For the past few weeks, My blog has been going offline are various points of the day, Mostly due to the Database server that hold all the posts being overloaded. As of now the blog is with a new hosting company that should be more reliable. I’ve already noticed that the blog loads faster, So far I’m impressed. During the move I lost the list of email addresses that were subscribed to receive an email each time i blogged about something, So these people will now need to signup again. People that know the 200 will know that it’s soooo busy we need 2 buses in tandem…. Of course thats not really the case, It just seems that the people that work out the Duty sheets haven’t realised that the 08:14 bus from Northfield is on two different duties, LOL. Still, this is the first time since I started this route in March that I’ve actually met the bus, and followed each other all the way to town. 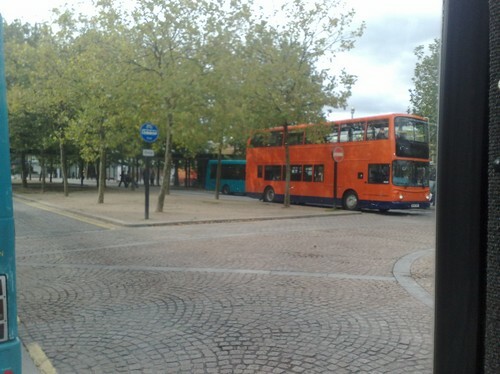 If you flag down a bus, and when the doors open it has one of these…. Please don’t expect the driver to be able to understand what your saying if you stand on the pavement and wisper. If your then asked to speak up as they can’t hear you, Don’t then whisper at the very same level as before. And once you’ve been asked a third time to speak up as the driver taps the plastic screen, Just to make sure you realise it’s there, Don’t then shout at the top of your voice in a sarcy manner. All you have to do is talk normally at the holes in the screen, Not towards the floor or into the rest of the bus, If you do that then we can hear you just fine! Thankyou! 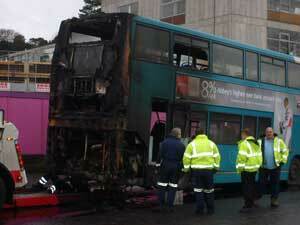 Lady: Does this bus go to the National Express Coach Station? Lady: Oh it does, does it? Lady: So it does go there then? Lady: This is the 200? 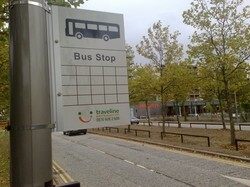 Me: Oh ok….. <pause> So do you want to goto the coach station? I received my Driver CPC book this week, and have been having a glance at it. You don’t care… ‘Bout me… Anymore…. If you are a regular commenter on my blog then you might be interested in this system called Gravatar. Once you signup and upload an image of your choice, Any blog you comment on, Using the same email addy that you signed up for with Gravatar, Will display your uploaded image.